When did “unsubscribe” become such a dirty word for marketers? We do everything we can to hold on to every subscriber for as long as possible and bend over backwards to eke out percentage points of change in our unsubscribe rates. I understand the frustration of seeing one of your customers decide they no longer want to hear from you, but I also propose that removing the negative stigma from the unsubscribe can significantly improve your email strategy and its revenue potential. When you learn to love the unsubscribe (or at least not pull your hair out over it), you can make more informed decisions about your automated messaging strategy and your yearly list growth goals – and better connect with the customers who really want to hear from you. Let’s discuss. People unsubscribe for a variety of reasons. The most common include receiving too many emails and irrelevant content. Often, the “too many” threshold is determined by the proportion of irrelevant content, those situations when the content is meaningless to the reader or fails to change from one message to the next. I know of retailers who send every day, or even multiple times daily, whose unsubscribe rate is no different than the retailer sending only a few times each week. 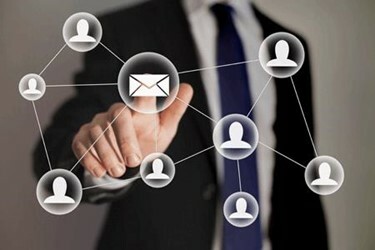 While there may be an opportunity to drive additional revenue by increasing sends, we need to recognize the full impact of those sends on a subscriber database. At what point do the inevitable unsubscribes begin to hurt your bottom line? Knowing what they cost can help you optimize your sending strategy throughout the year, particularly when planning for periods of increased sending, such as the holiday season.